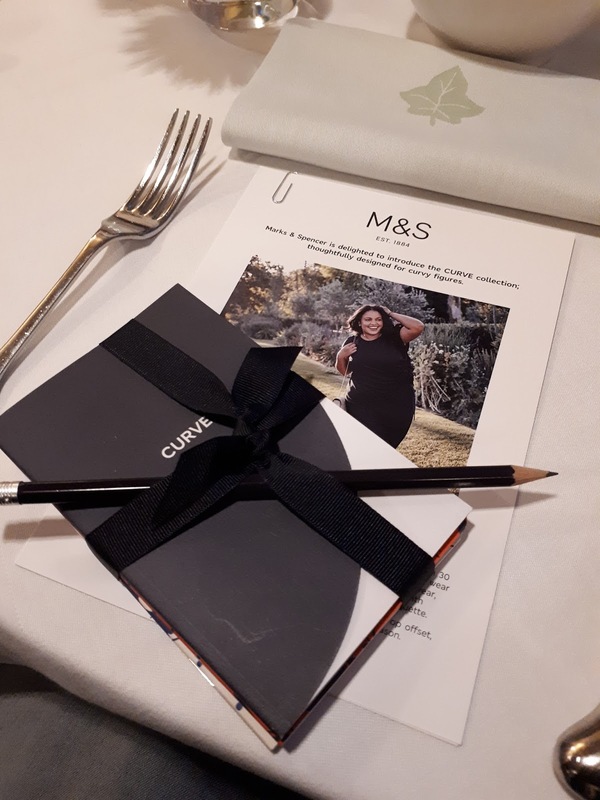 Receiving an invite to the Marks & Spencer Curve launch brekkie at The Ivy Soho Brasserie was the perfect way to kick off 2018. The Ivy Soho is such a vibrant venue oozing style and originality, the decor offered a dose of sophistication which complimented the brand's own ethos. 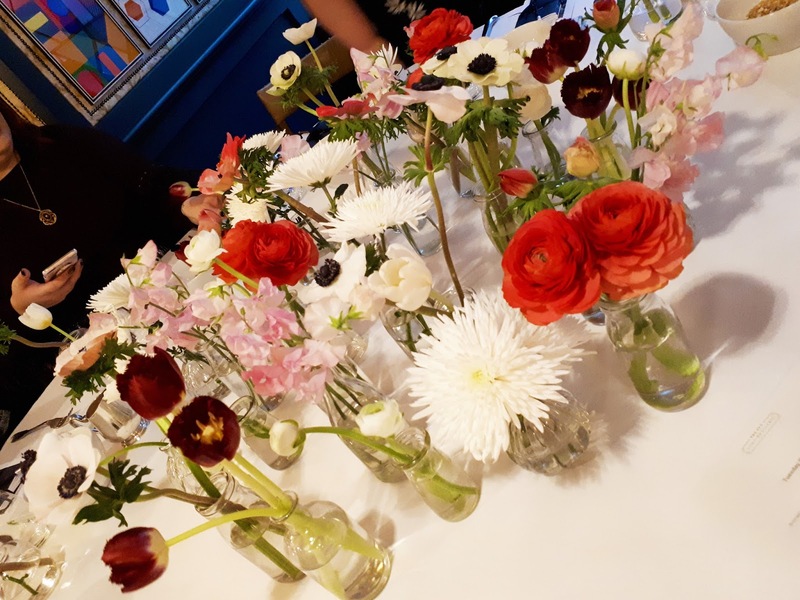 Being in the company of a bunch of gorgeous and exceptionally talented blogger alumni and industry professionals really set the scene for a fabulous morning. 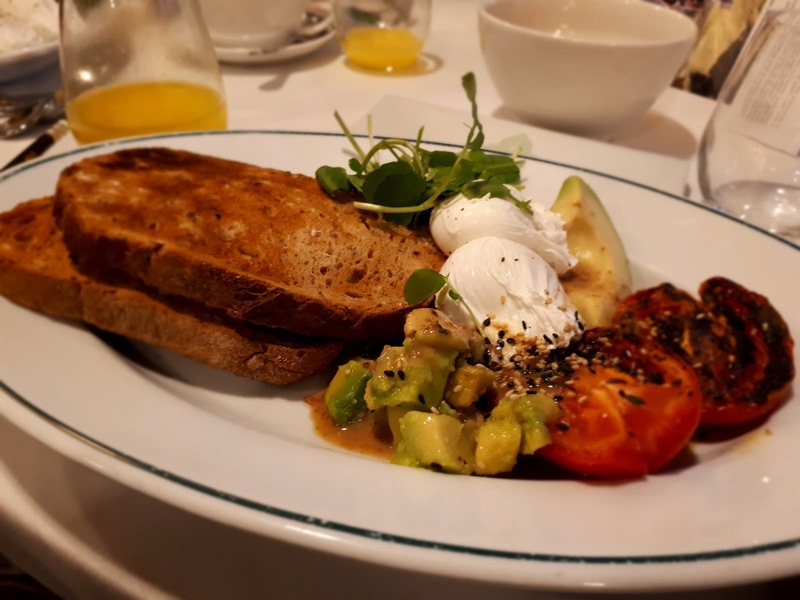 All the influencers shared a table, allowing us to catch up over a heavenly breakfast of poached eggs, avocado and tomato on toast. 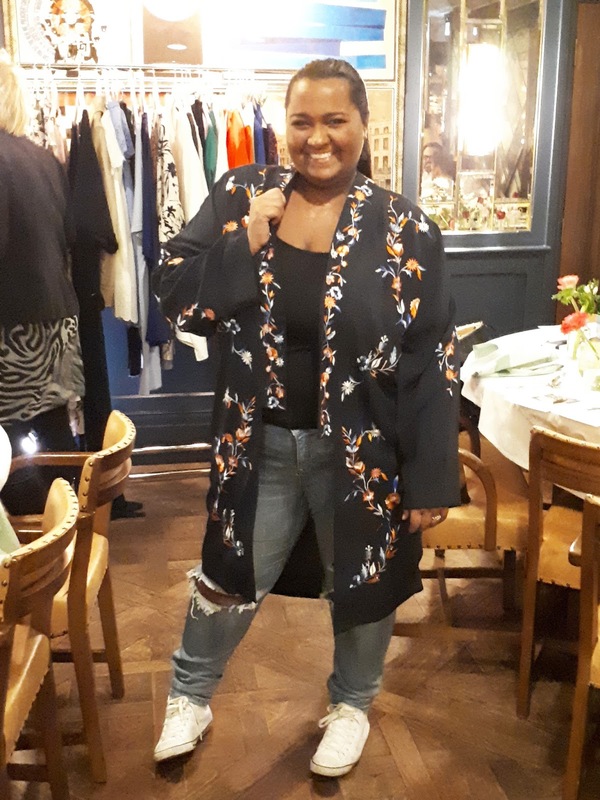 After a short introduction by Jo Hales the head of Buying at M&S for the Curve range, Danielle Vanier gave us an insight into what inspired her collaboration with M&S to design two dresses for the range. 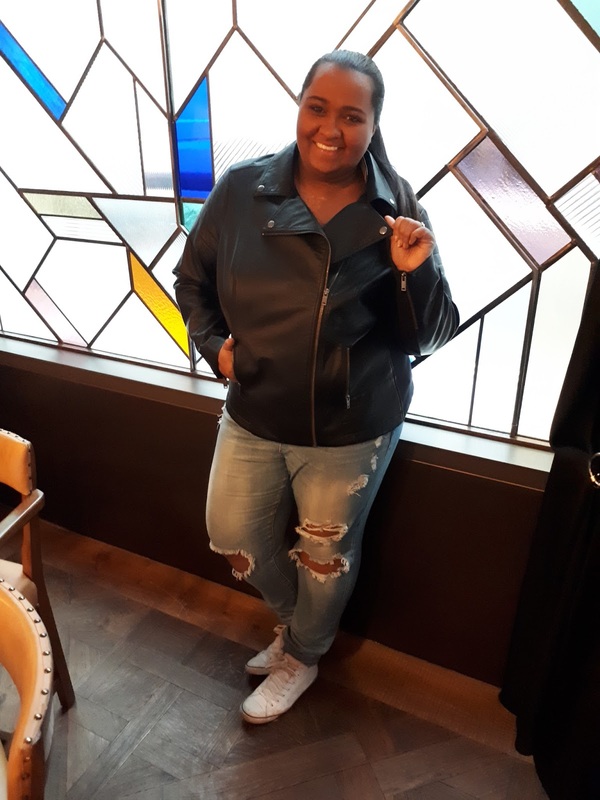 She spoke passionately about how excited she was to consult on this project, especially how she had grown up with M&S being a front runner for quality and on trend fashion staples. 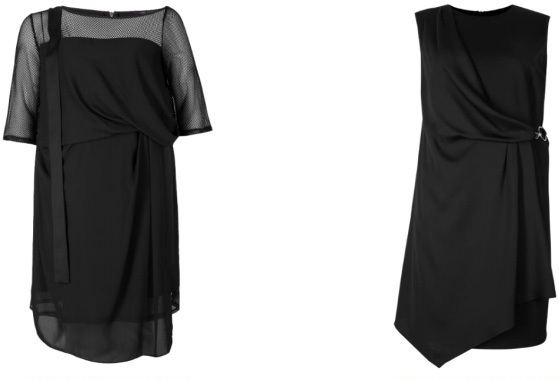 She recalls an LBD which she adored which came from M&S, so she took aspects of the dress she loved and used that as inspo for creating her two garments. She commented recently saying, "I have added some subtle sports details, like hard-wear on the waist and mesh layering for a contemporary feel; so both can be styled in really different ways. Whether you team with crisp white trainers for a chic take on daywear, or dress up with heels ready for the evening"
The collection has been designed with everyday in mind, providing quality infused basics such as soft and luxurious knitwear alongside faux leather jackets with jersey panels for comfort and movement. There is also a blend of occasion wear offering jumpsuits and dresses which are designed to skim and accentuate the curves. Using fresh pastel shades, and vibrant prints alongside the staple monochrome colours provide a versatile Spring wardrobe which can be accessorised to take you from day to night with ease. The range caters for sizes 18 to 32, with most items being available in all sizes both in-store and online. I picked up a few pieces to share with you. I chose three pieces, two everyday staples and one of Danie's dresses. First up I give you this perfectly practical parka. I have searched for a truly waterproof jacket that doesn't leave you totally saturated after a downpour. I am pleased to say that this parka does not disappoint. 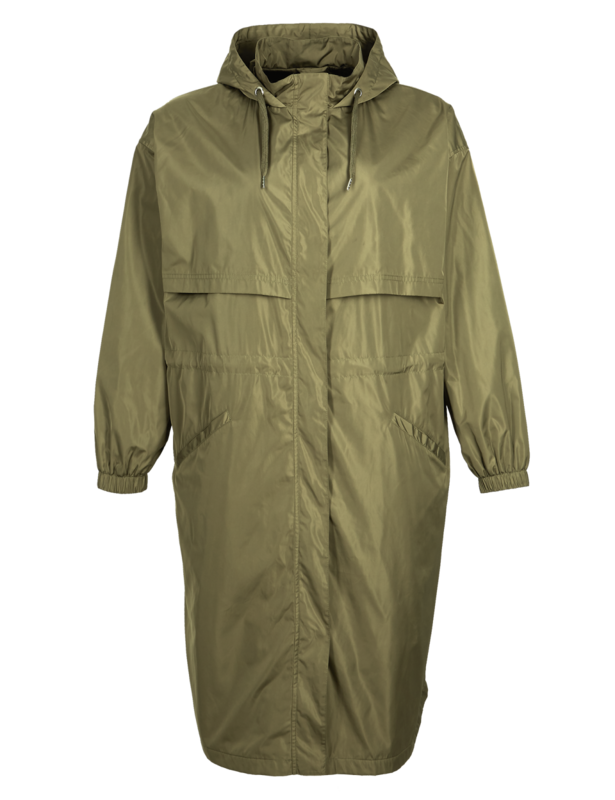 I wore it to a recent shoot and it was absolutely chucking it down outside, having this parka saved hours of potentially wasted time straightening the barnett and making me look all dolled up. It's fleece lined, ladies! So trust me you will stay toasty warm, not a drowned rat in sight. I love the fact that it's versatile enough to wear casually as well as over a posh frock. It features an inner drawstring at the waist. This is a blessing allowing you to create waist definition creating a more feminine silhouette. 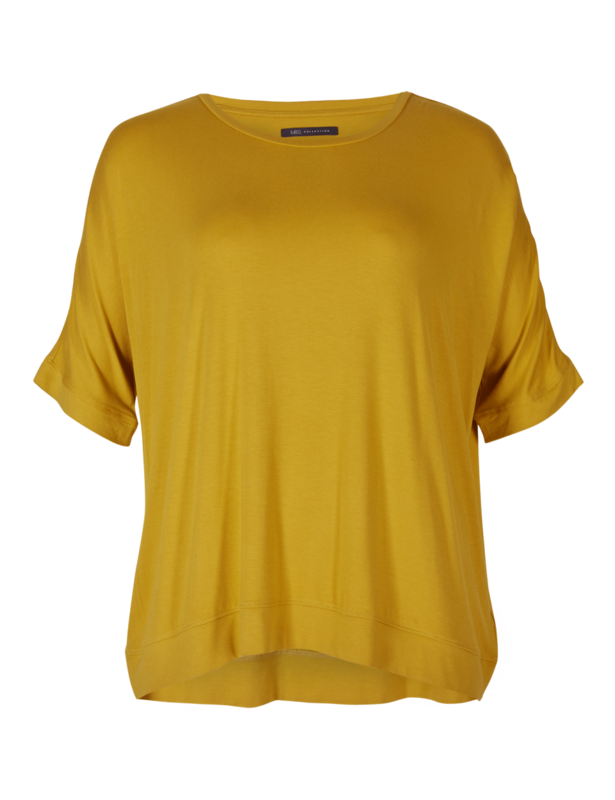 The other staple I chose was this lightweight t-shirt, in my fave colour; mustard. 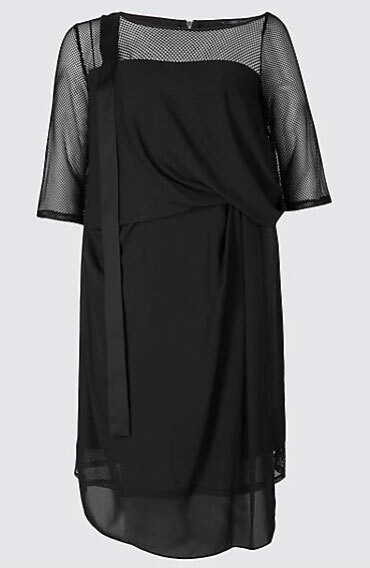 The one thing that I adore about this top (other than the colour of course) is the very obvious quality of the garment. It doesn't feel cheap or basic. It's a blend of viscose and elastane which leaves it feeling soft and durable. I've washed it once since purchase and there's been no loss of integrity or colour. I think this top is a winner and I would love to buy it in other colours to fill my summer wardrobe. Danie's mesh dress caught my eye from the minute I saw her wearing it at the launch. It's an unusual cut and that makes it very unique in relation to other mesh dresses on the market. Danie inspired me to rock it with box-fresh pumps for this look but I am looking forward to dressing this up for a night out on the town. I ordered all three items in a size 20. Where I am between a size 18 and a 20, size-wise I could have sized down on both the parka and the dress for a more structured fit. I wouldn't personally size down on the tee, only because I like a t-shirt on the loose side. 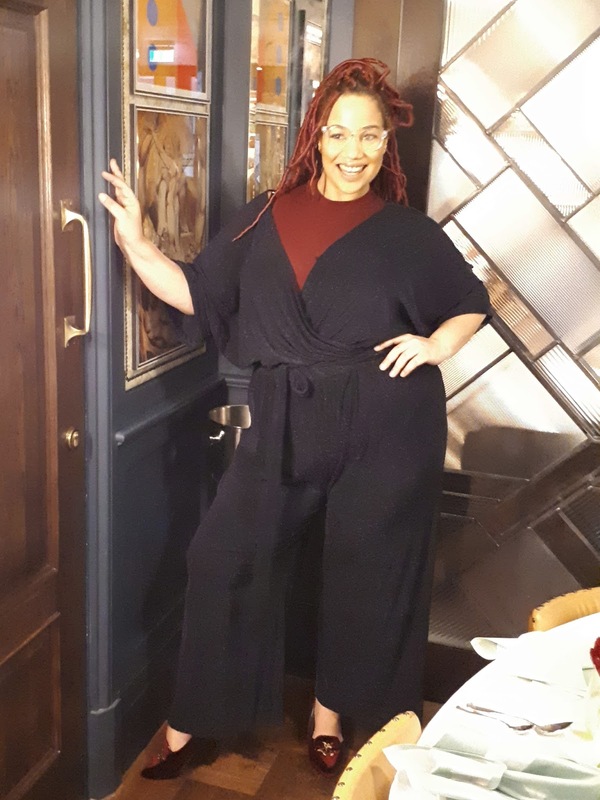 My overall opinion of the Curve range is that M&S have succeeded in staying true to what they are best known for which is high quality staple pieces that can be worn in all circumstances. 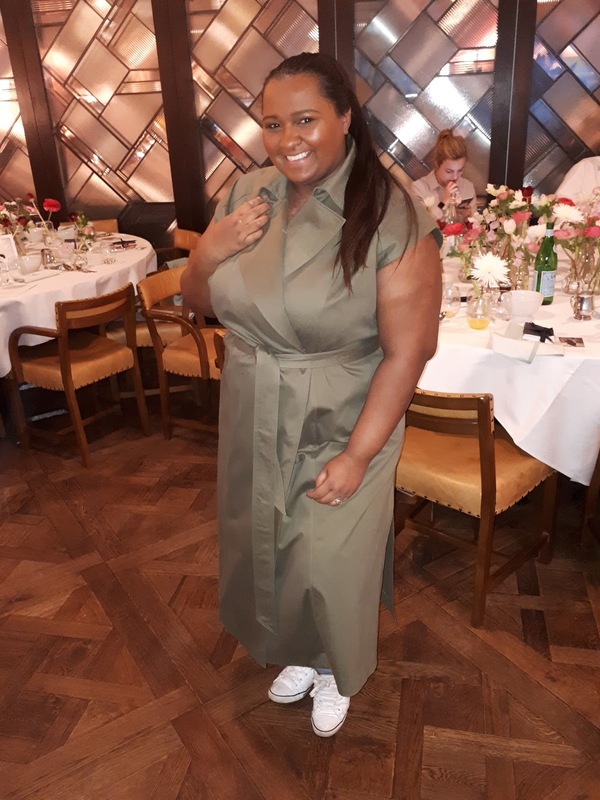 They have not sacrificed anything in their designs, they have created garments that showcase our figures as well day to day basics, offering a whole range outfits which give you the calibre of clothing that you expect from M&S as well as on trend pieces that have been carefully designed with the insight of over 2,000 plus size women. Small touches like the jersey panels on the faux leather jacket and shirts that don't gape with their "no-peep" button technology all really show that they took the little things into consideration. Many people in the blogger sphere have dubbed the collection as drab and sack-like, this is simply not true. The collection is true to it's word, it caters to its market. 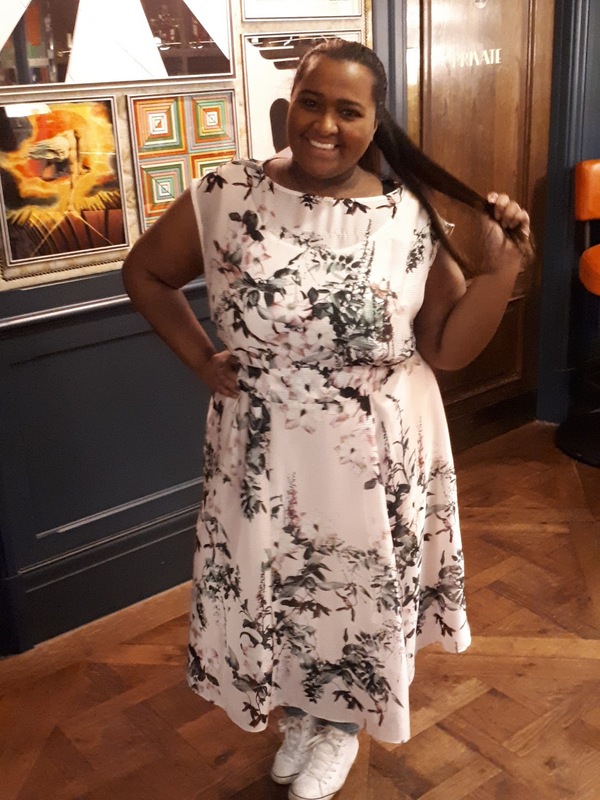 Some women don't have the confidence to rock fully fitted dresses and they are looking for things that "flatter" their figures, others prefer to flaunt what they got - there's something for everyone here. Let's be honest, on a day to day basis we all need good quality staples, so I would be far more inclined to check out M&S and pay a little extra for decent pieces that are durable rather than scrimp on the pennies and get something of a lesser quality. In short I thoroughly recommend you check out the collection. You always get a better idea of how a garment will look when you actually try it on, so get yourself in store and try some pieces on, then take a tonne of pics and tag me in it cos I bet you will look damn fabulous in them! Why don't you try some of these for a start?